JRPG Jungle: BlazBlue....the Card Game?! 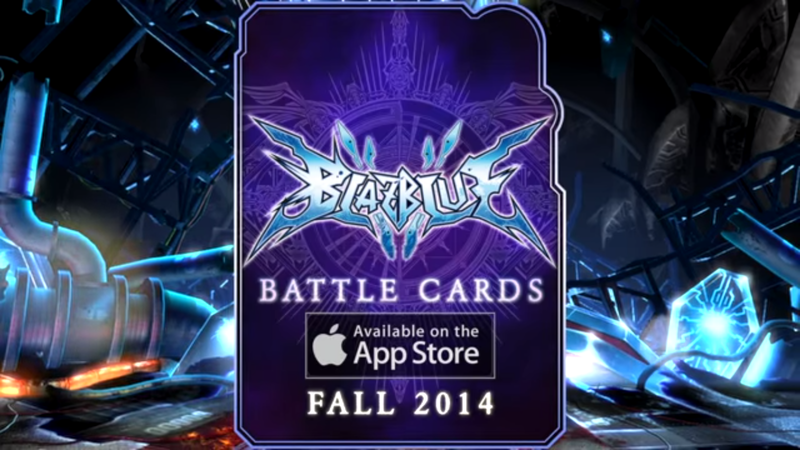 In a completely unexpected turn of events, Alliance Digital Media will be releasing the official BlazBlue Battle Card game for iOS in Fall 2014 (Australian Spring). It is worth noting this game is the first BlazBlue game that will not need localisation as it will be developed in English. The card game will allow players to play online and will have leaderboards. Not much of the gameplay has been revealed, but in the trailer you can see the characters special combo's displayed as cards and the layout of the game looks very similar to BlazBlue's console game fight layout. Players will be given the option to choose from 12 characters. As you can see in the trailer below, Hazama and Ragna are (of course) in the game, so only time will tell who the rest of the characters will be (characters like Jin and Noel are probably a good bet).